Welcome to Philippine Travel Destinations! Get all travel information you need such as Philippine top tourist spots, weather, hotel, restaurants, shopping malls, adventures, fun activities and more. There are many good reasons to visit the Philippines. Experience true Filipino hospitality while you explore the beauty of the Philippines. Watch the latest Department of Tourism (DOT) Anak TVC 2017 commercial. Find more ways to enjoy your travel to the Philippines. Start planning your travel and visit the Philippines this 2015. For the thrill-seeking tourists, try these 6 daring 2015 summer adventures you can do in the Philippines. DFA strengthens its tourism ties with countries like Israeli for tourists and businessmen wanting to visit and explore the various destinations in the Philippine. Every year, the Ninoy Aquino International Airport (NAIA) is packed with foreign nationals from Korea, USA, Japan, China, Taiwan, Australia, Singapore, Canada, Hongkong, Malaysia, and the UK. Koreans ranked as the largest market for Philippine tourism with USA and Japan ranking second and third respectively in the 2012 statistics according to the Department of Tourism. The year 2015 seems to be a great year for the travel industry. The Philippines targets 10 million visitors to the country’s top travel destinations. 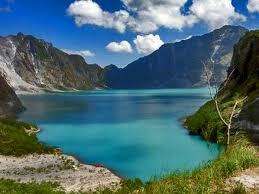 There are definitely a lot of activities you can do when you travel to Philippines top destinations. Here are some breathtaking destinations for your soul-searching. 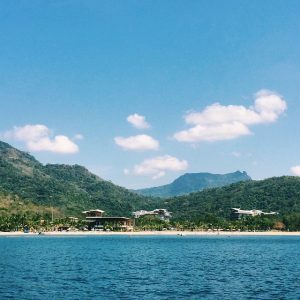 There’s one place that attracts foreign tourists to travel to the Philippines…it’s the BEACH! The white beaches of Boracay, Bohol, Ilocos Norte, and Palawan are listed as top Philippine travel destinations. Still, there are many pristine beaches in the country waiting to be discovered. Recently, the Tourism Department launched a new ad promoting the Philippines as a honeymoon destination. Watch this heartwarming marriage proposal on the white sand beaches of Boracay. If you’re the adventurous type, you will surely enjoy different water sports like diving and snorkeling in Bohol, Boracay, and Palawan, surfing in Siargao and Subic, wakeboarding in Camarines Sur or whitewater rafting in Cagayan de Oro. Because the Philippines is surrounded by waters, you’ll never be without a fun thing to do on the beaches. The resort owners has always something new coming up for their guests to enjoy! The Philippines is a paradise when you explore the mountains and trekking is a favorite adventure of foreign and local tourists. A popular Philippine travel destination for hikers is the Mount Pulag in Benguet, a towering 2930-meter high. It is the third highest mountain in the Philippines. But if you want an easy climb, go up Mount Ugu, Mount Pinatubo, Mount Daguldol, Mount Apo, Mount Pico de Loro and Mount Mayon. Like I said earlier, there are a lot of things to do while here in the Philippines. A two-week vacation may not be enough to relax your body, refresh your mind and revive your energy. But with its 7,100 islands, there are definitely other places to explore in the Philippines and a lot of fun activities to enjoy. You can learn about the Philippine culture when you see the various Philippine festivals. Get into the merriment during the regional festivals in Cebu, Iloilo, Davao, Quezon, Naga and a lot more! It’s certainly “fiesta” mood and you can take a bite of their unique Filipino cuisines. There’s one of each kind in every region or province. When visiting Baguio, be amazed by the magnificent Panagbenga Flower Festival or by the passionate show of devotion during the Nazareno Festival in Quiapo and the Peñafrancia Festival in Naga City. Now with all the traveling, you will surely be hungry and need to stop for food. 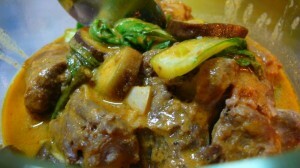 Look for popular local restaurants and try authentic Filipino dishes in every place. Never miss to try buko pie (young coconut pie) in Laguna, batchoy in Iloilo, lechon (roasted pig) in Cebu, kare–kare in Pampanga, pinangat in Albay or bagnet in Vigan. 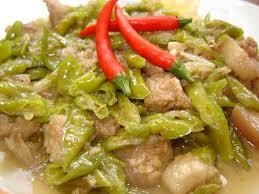 If you like a spicy dish, try the Bicol Express and literally burn your tongue! If you are a business or leisure traveler, big shopping centers like Mall of Asia and Greenbelt Makati are ideal for meeting with your clients and friends. Lined up for easy access are the popular dining places, restaurants, fast foods, coffee shops and bars for night entertainment. You get real value for your money anywhere in the country. In fact, Lonely Planet named the Philippines, particularly Palawan, as one of the top value destinations for 2014. You can have the best family vacation when you take your kids to the Enchanted Kingdom or Manila Ocean Park. These two are the popular amusement for the entire family members. Then there’s Star City and other theme parks in the country. Visit Skyranch in Tagaytay and Pampanga and enjoy riding the Philippine’s tallest Ferris wheel. Visit Skyranch in Tagaytay and Pampanga and enjoy riding the Philippine’s tallest Ferris wheel. If you’re in Manila, there are a number of kid-friendly destinations. Tag along the kids to the Mind Museum, Museong Pambata, Kidzania, Art in Island and many others. Whether for a family vacation, personal retreat or lover’s honeymoon, you have made the right choice to travel to the Philippines. Here’s a Guide to Disaster-Hit Tourist Spots when traveling around the Philippines. So where do you start with your travel around the Philippine islands? Maybe I can help you map your travel destinations.